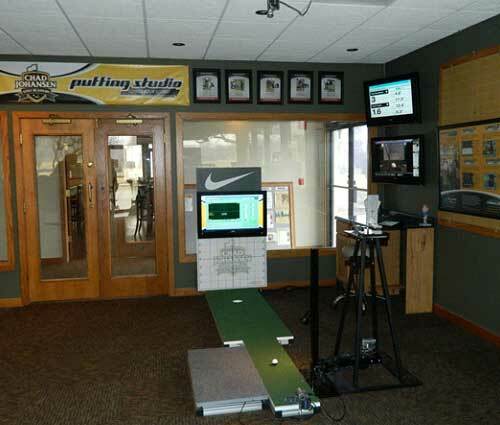 The Chad Johansen Putting Studio uses the best technology available to improve your putting stroke! If you are struggling with your putting on the golf course, visit the Chad Johansen Putting Studio and start lowering your score! 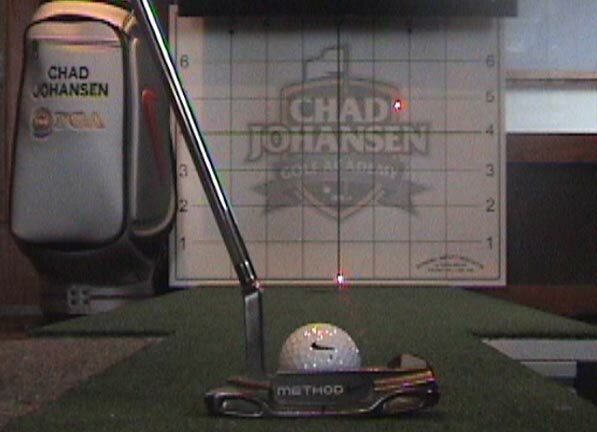 The Chad Johansen Putting Studio uses a state-of-the-art Balance Lab on all putting lessons. The Balance Lab can track weight distribution throughout the putting stroke. Many golfers set up to the ball with their weight on their heels. We can now track exactly where your weight is throughout the putting stroke. The most important thing in putting is getting in a good set up and you will now know what it feels like to get in that set up. 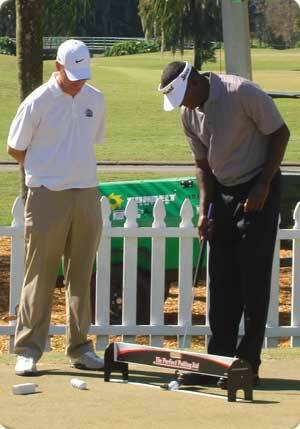 The Chad Johansen Putting Studio uses the Dynamic Impact Indicator system invented by PGA Professional Kevin Weeks. Using video, the Dynamic Impact Indicator uses laser technology to pinpoint the exact aim of the putter at address and impact. You will now know exactly where you aim at address compared to impact. The laser shoots from the bottom of the grid to a very small mirror placed on your putter face. The laser will shoot back to the grid to show you precisely where you are aiming. Using this technology will really help you get the ball starting on your intended line! Chad’s expertise has helped him create some of the best putting tools available today! The Chad Johansen Putting Studio uses three camera angles to help golfers “Sink More Putts and Lower Your Score!” The Chad Johansen Putting Studio uses camera angle #1 aimed directly at the golf ball. This analyzes the most important aspect of the putting stroke: Ball Roll! This angle allows us to ensure that the ball is rolling immediately after impact, allowing the most consistent and pure roll possible! 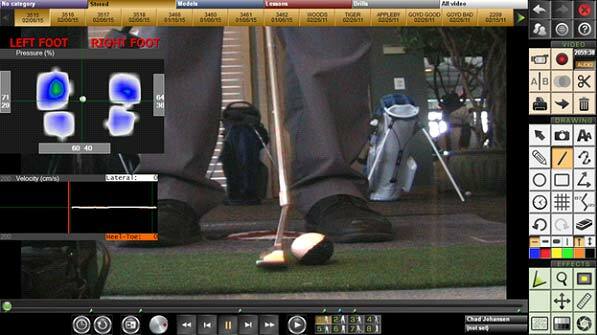 We can also track ball position, lower body movement and shaft angle. 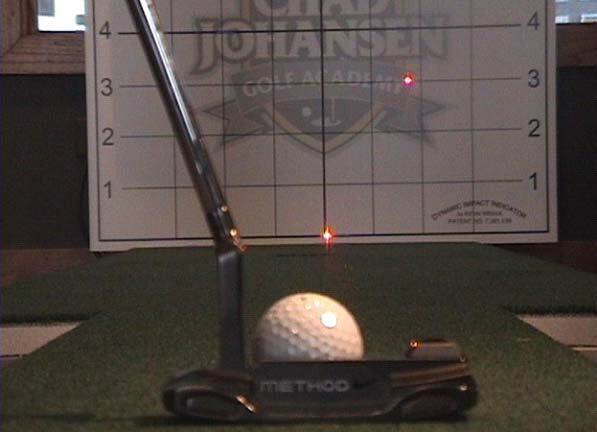 The Chad Johansen Putting Studio uses camera angle #2 that shoots directly down the line. This camera analyzes the laser from the Dynamic Impact Indicator along with stroke path, ball contact height, and the height of the entire putting stroke. 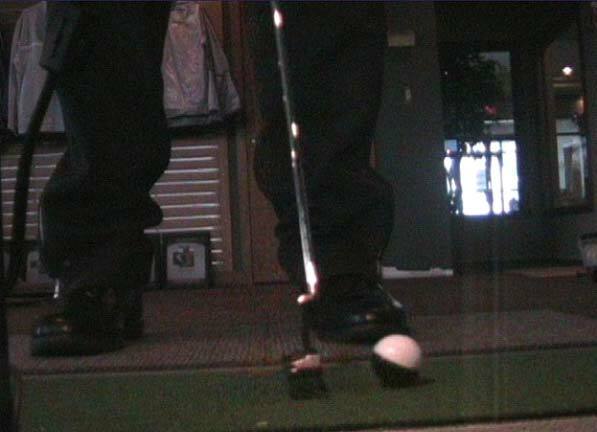 Using this camera angle can really help you develop a more fundamentally sound putting stroke! The Chad Johansen Putting Studio uses camera angle #3 that shoots directly from above. 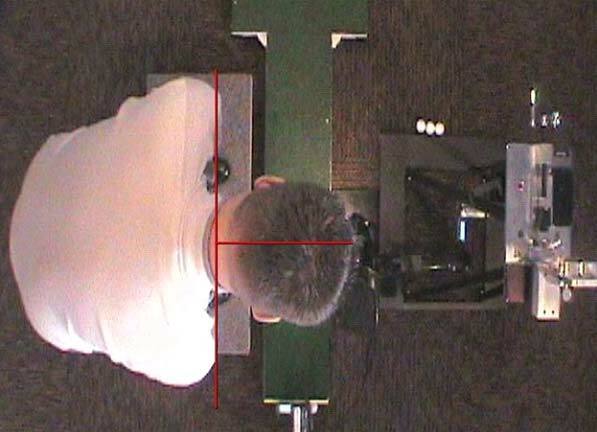 It allows us to analyze the alignment and movement of your shoulders and your head throughout the putting stroke. Keeping your head still and aligning your shoulders perfectly will make you a more consistent putter! Visit the The Chad Johansen Putting Studio and start lowering your score today!